Team END-FAST (Extreme North Dakota - Future of Adventure Sports Team) competed this last weekend in the 'toughest race in North Dakota'. The contest proved even more difficult than the race directors anticipated, as dropping river levels and tricky navigation caused the first section of the race to take longer than projected. This meant teams had to negotiate the 15 miles of technical mountain bike trails in the dark, a daunting task for all racers, but especially so for 18-year old END-FAST team member Jacqueline who was mountain biking for the first time ever, and on a borrowed bike. Although she 'hated' the section and fell numerous times on the treacherous terrain, she managed overcome her fears and lack of experience to get through it. The team's challenges didn't stop there however. 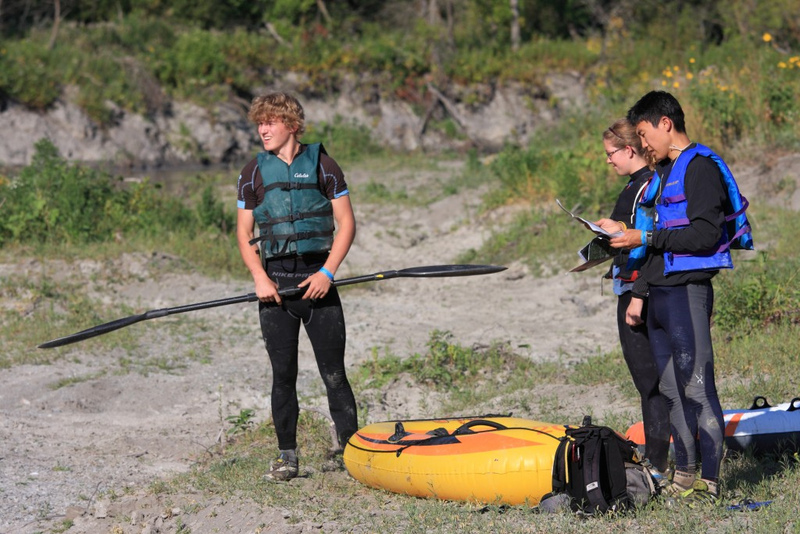 Upon reaching the banks of the Pembina River for the final 7 mile packraft section, they discovered that one of their packrafts was full of holes and not holding air. The team improvised and all clambered aboard a single cheap raft and negotiated the river including 5 sets of 'rapids' to collect the final three checkpoints of the race. The trio were one of only seven teams (out of eighteen) to visit every single mandatory checkpoint on the course, a huge achievement in it's own right, made all the greater by the fact that this was Logan and Tom's first 24 hour race and Jacqueline's first adventure race, period. You can see more photos from the action here. To find out more about team END-FAST, how to become a member, and how to support the cause, click here. You can read Logan Smestead's (team captain) race report, which is desperately funny, here.